This spotting scope is very suitable for birdwatching, hunting, camping. 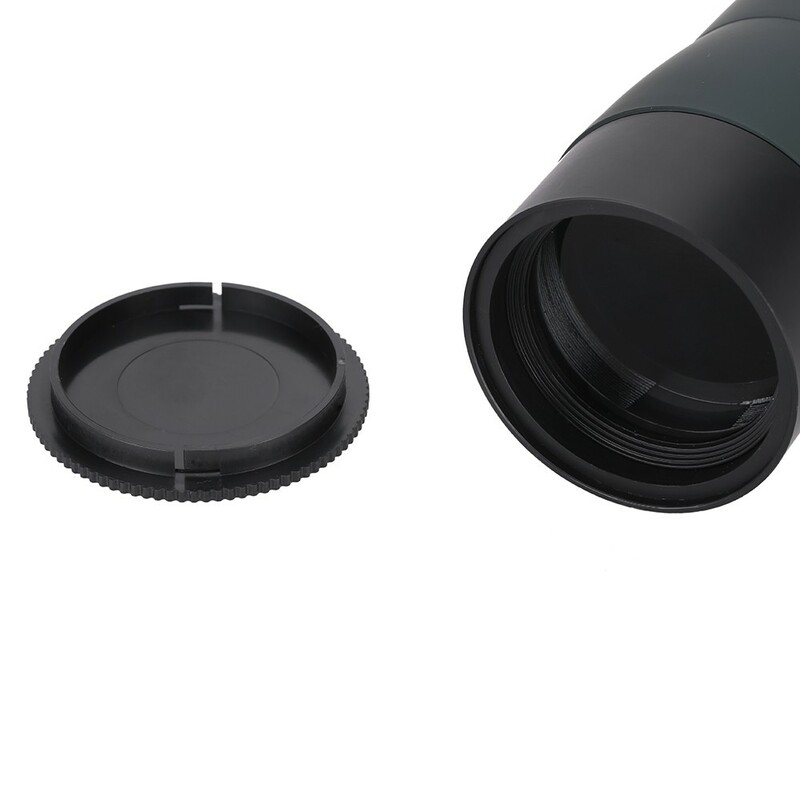 With 60mm objective lens, it owns great light-gathering power and resolution. 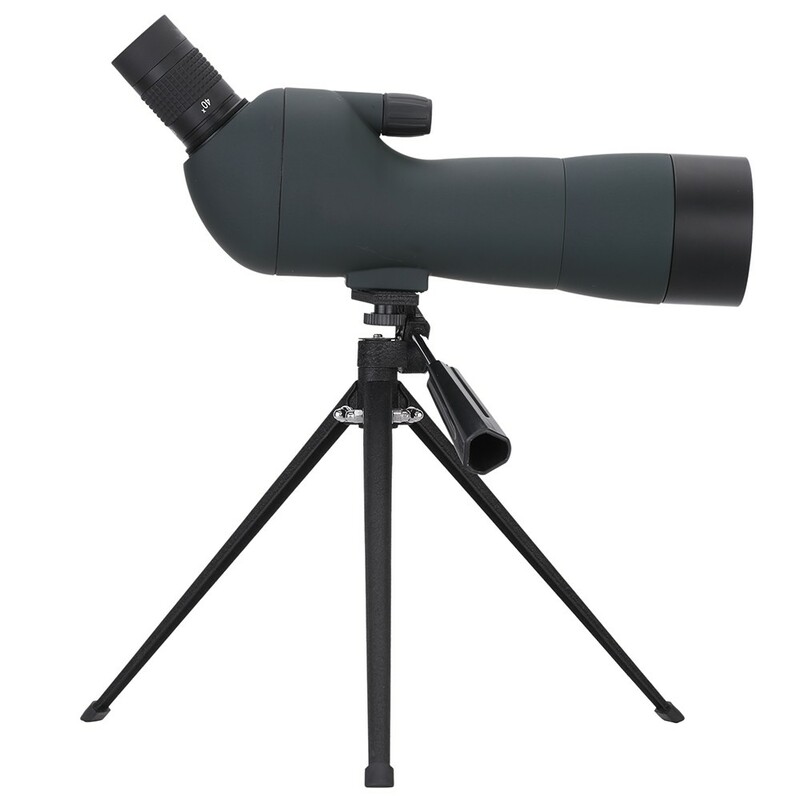 A range of magnifications from 20X to 60X, meeting your different needs. 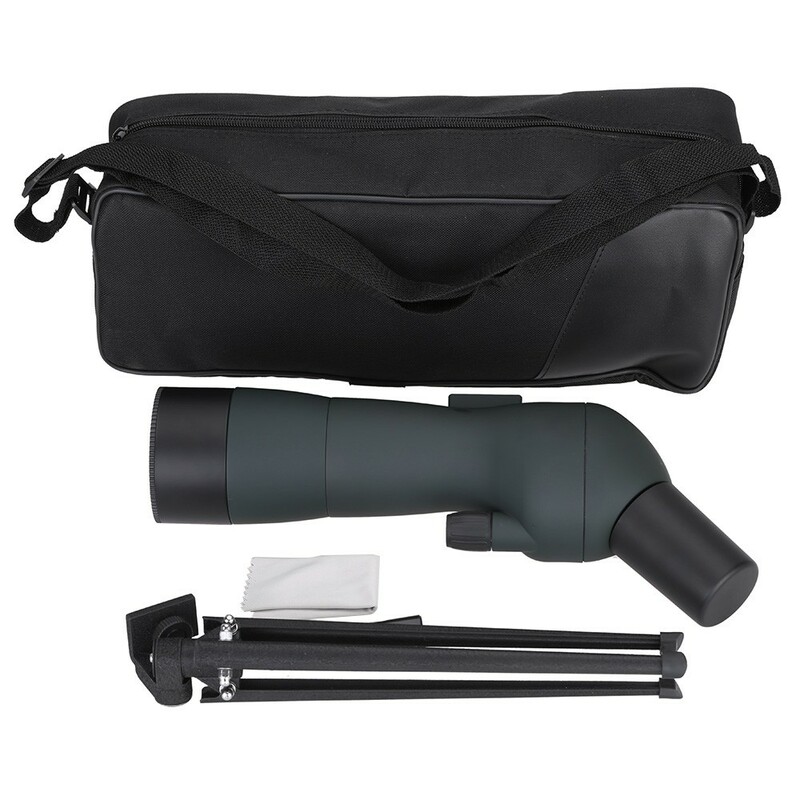 A pan-head tripod and a carrying bag are included, really perfect for outdoor use. 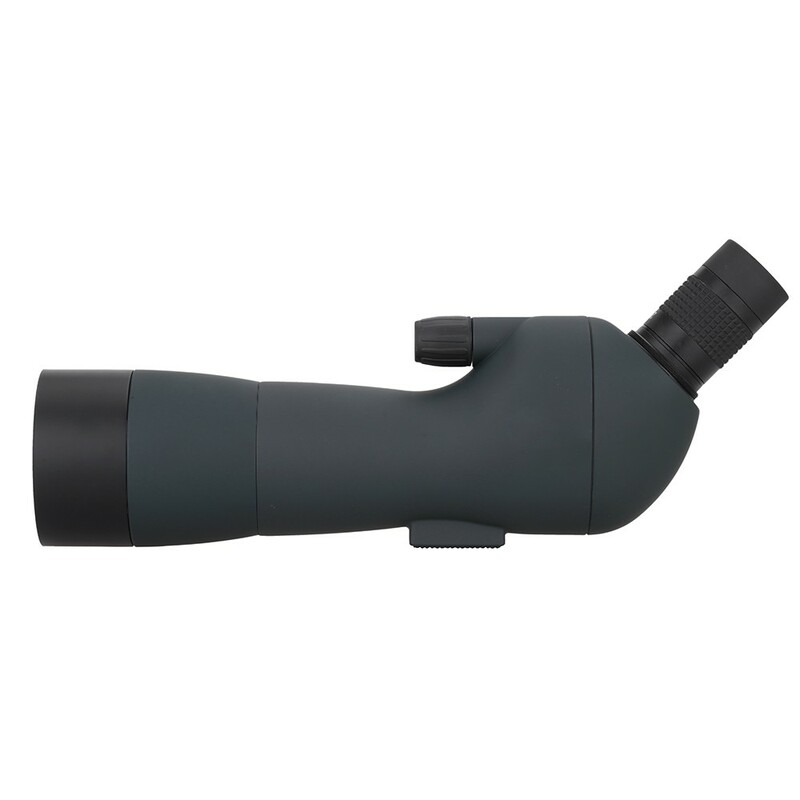 60mm objective lens to ensure the light-gathering power and resolution. 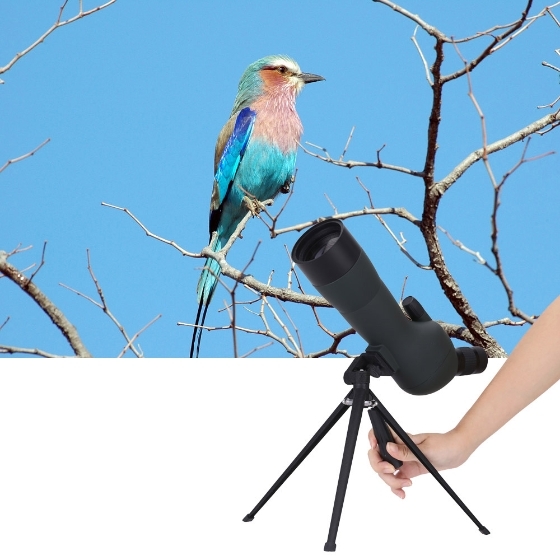 "Zoom" eyepiece to give a range of magnifications from 20X to 60X. 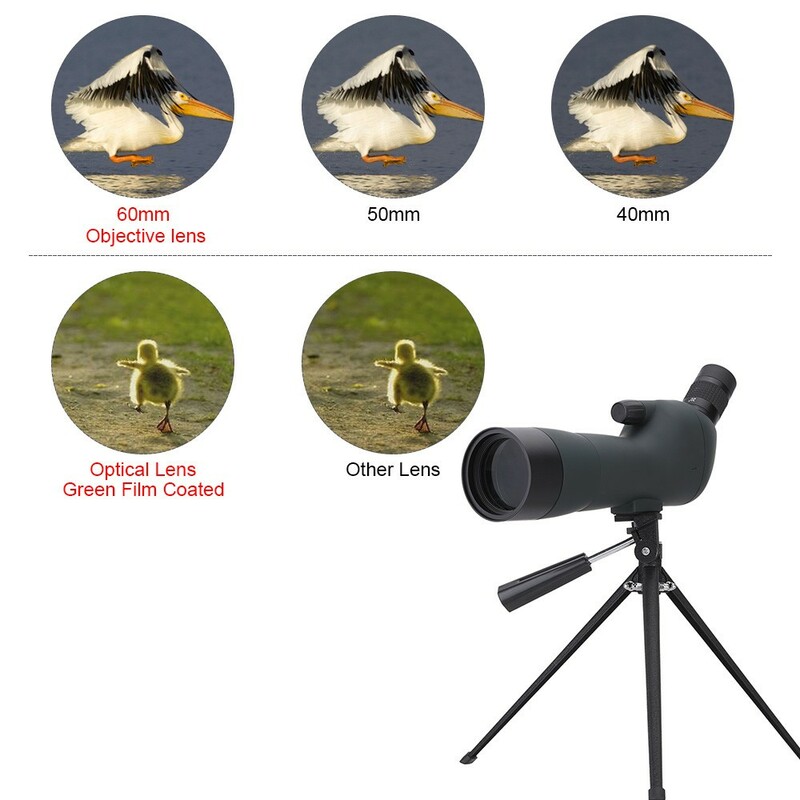 Green film coated optical lens to deliver a clear and bright view. 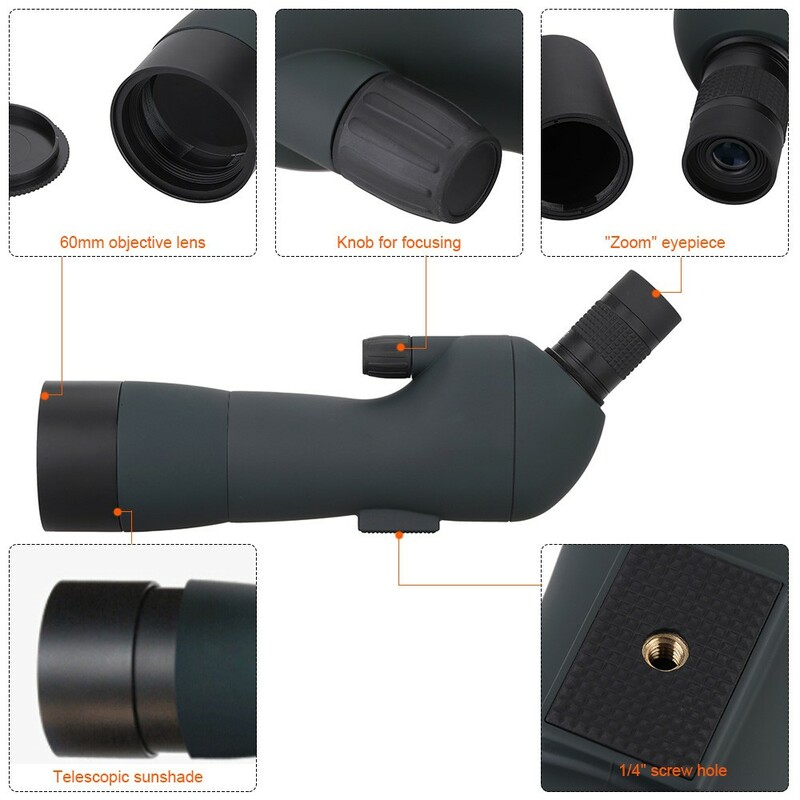 Telescopic sunshade to protect the lens from scratches. Located knob for focus control. 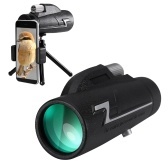 An ruggedized and ergonomically designed with 1/4" hole at the bottom. 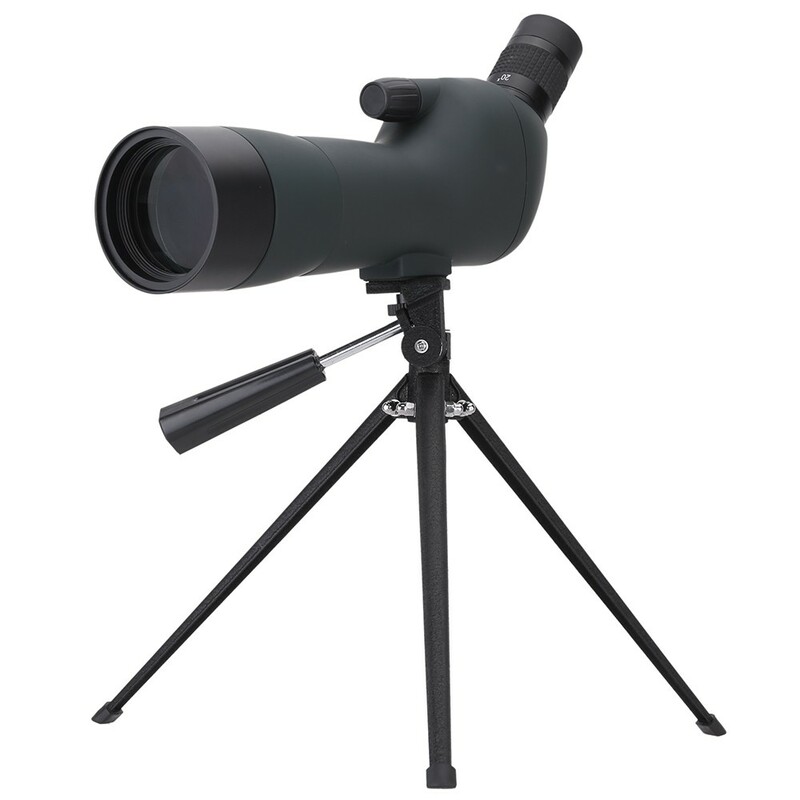 Pan-head tripod, carrying bag and cleaning cloth are included.